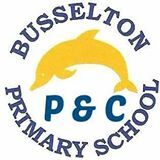 The Busselton Primary School P&C are very lucky to have a group of parents and teachers who are very committed to the joy of our students and creating a wonderful community. We all pull together, with your own personal set of skills, to create a seamless team that achieves wonderful things. New members are always welcome and you can bring children to our meetings. This March is our 50th Splash-a-Long (beach walk) which is our biggest fundraiser each year. Through our fundraising the P&C helped pay for new nature playground and other play equipment.